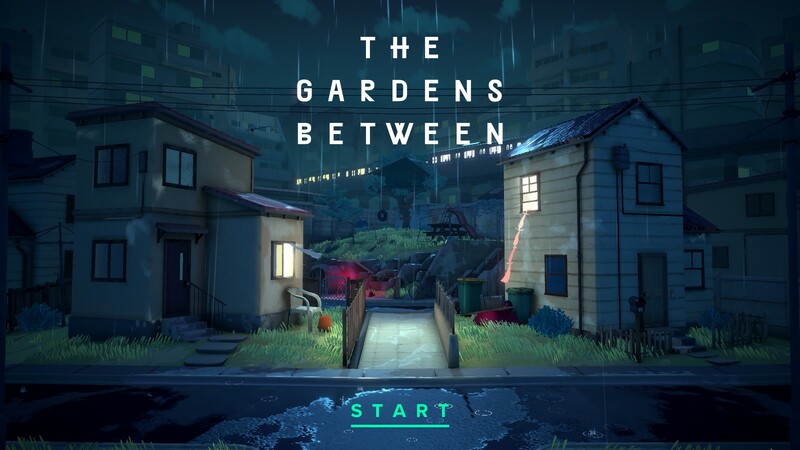 The Gardens Between is the first title I've played from The Voxel Agents and I'm pleasantly surprised. This is a fantastic abstract puzzle game that does not hold a players hand. It has little in the way of features that would ease some of the difficulty (like camera movement), but don't let that fool you. The game is presented in a way that causes fond memories to resurface and brightens ones day. 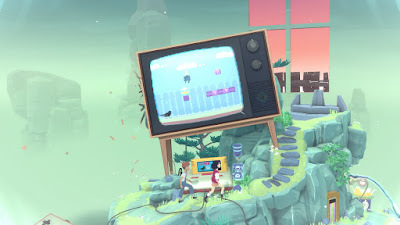 Its abstract nature and difficulty intrigued and annoyed me for quite some time, but I found the ending to be both satisfying and heartbreaking. This is a story about two boys who possess a wild imagination. There are only two things a player can do in this game. The first is basic movement and the second is object interaction. The menu options for The Gardens Between is minimal at best, which works well for its overall style. Which is to say that this is not a game that requires options for FOV sliders, motion blur, or anything of the sort. 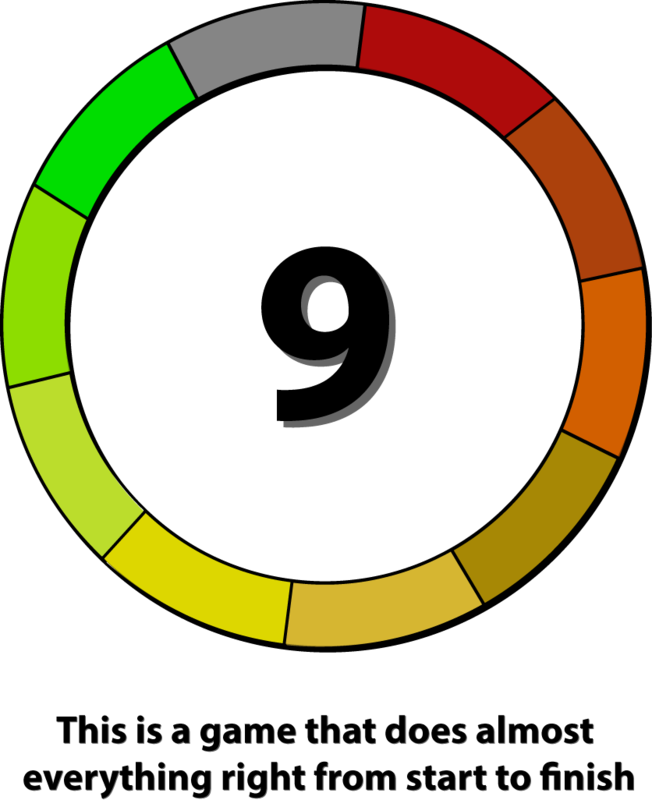 The game is easy to load up and play. 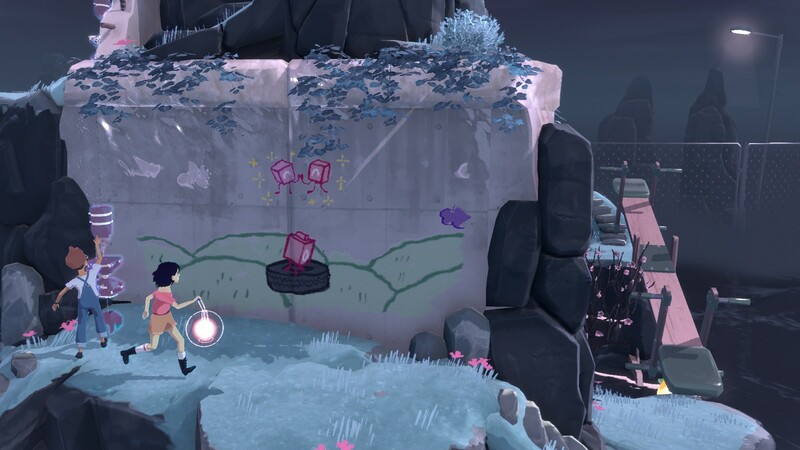 As for in game controls, the two boys move at the same time. A player cannot control where they go, nor can they move them individually. So, it's not like Brothers: A Tale of Two Sons where the analog sticks independently control the brothers. Don't let this fool you though, because some of the puzzles require some adaptive thinking. Personally, I find this to be a good thing because The Gardens Between has to have an art style that draws a players attention to specific objects. The reason is because there's no hint system, so it has to have a method of nudging the solution out of its players. 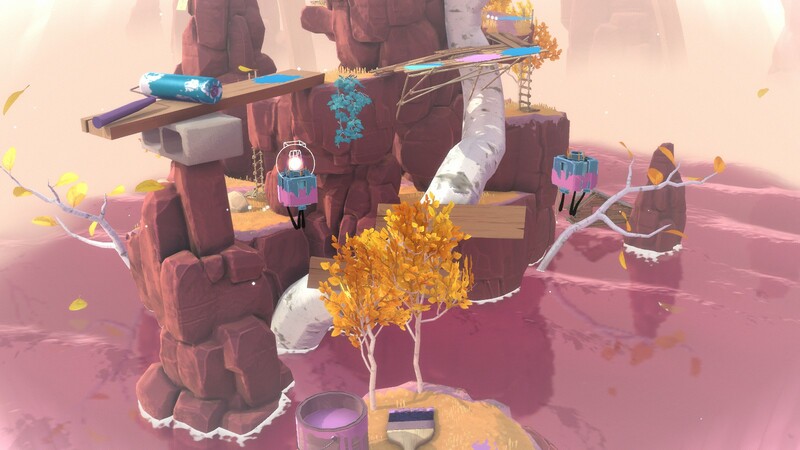 To provide an example, there is a level where key blocks land in different coloured paint buckets so that it's easier for a player to follow their trajectories. 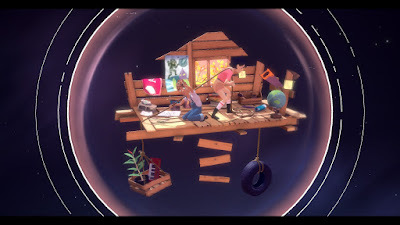 Otherwise, the way the game is designed, some of the needed objects are cleverly obscured by the environment. Another point about the graphics in this game is each level follows a theme. To explain that more clearly, if the level has an old Macintosh computer, then the level also has a dot matrix printer, an old mouse with one giant button, and an abacus. Similarly, there is another level which has a Nintendo, an old colour television, and a VCR with a clunky black rectangular remote. The story in this game is abstract because no description is ever given. There's no dialogue in the game but there is a story being told here. At its core, this is strictly a puzzle game, but players get a sense of these two characters as the game is played. And it isn't until the end that players discover what the actual story is. Something to note about The Gardens Between is players cannot independently move the characters and where they can go is also predetermined. In other words, this game is designed to manipulate the area around the characters to complete levels. For example, one level required me to get past a popcorn bowl that obstructed my movement. In another level, I had to jump on a saw to slice a board in half, allowing it to become a bridge for the other boy. How players end up manipulating the environment is by using a device that freezes time. Ultimately, this is how puzzles are solved in The Gardens Between. The way these puzzles are designed is through moving objects when time is frozen. What I mean is, objects can be manipulated to suspend in specific places. For example, I talked briefly about a popcorn bowl obstructing my movement. To solve this section, one boy interacts with the time freezing object which allows players to move the popcorn bowl out of the way. In essence, it's almost as though some of these objects exist in an altered reality – a unique concept that I found myself enjoying. Sometimes, the time bending feature allows players to see objects that were not obvious beforehand. It's a little weird to explain and much easier to experience directly. As in, go buy the game! Knowing that I was walking into an abstract puzzle game, I wasn't quite prepared for what I received. Even at that, I found myself to be pleasantly surprised and challenged by this game. I tend to gobble puzzles for breakfast and some of these islands had me stumped. I love this game and would recommend it to all ages because of its art style, casual nature, and general concept. It does not have any violence, fighting, nor inventory management making it the perfect game for youth and adults to enjoy. The game can be purchased on Steam, Nintendo Switch, and PS4 so be sure to pick up a copy!